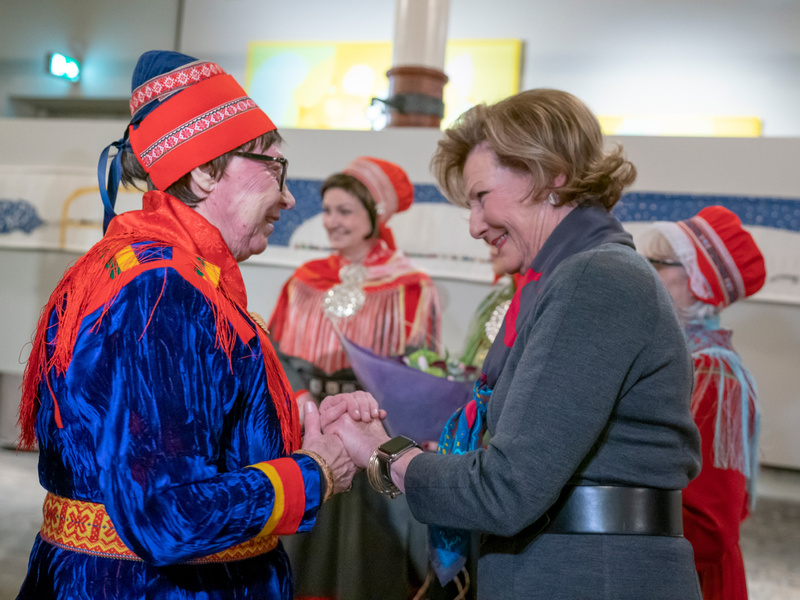 “I hope this exhibition can communicate some of what I find so captivating about Sámi art and culture,” said Her Majesty The Queen in her speech. She then went on to share several good memories from visiting Sápmi. 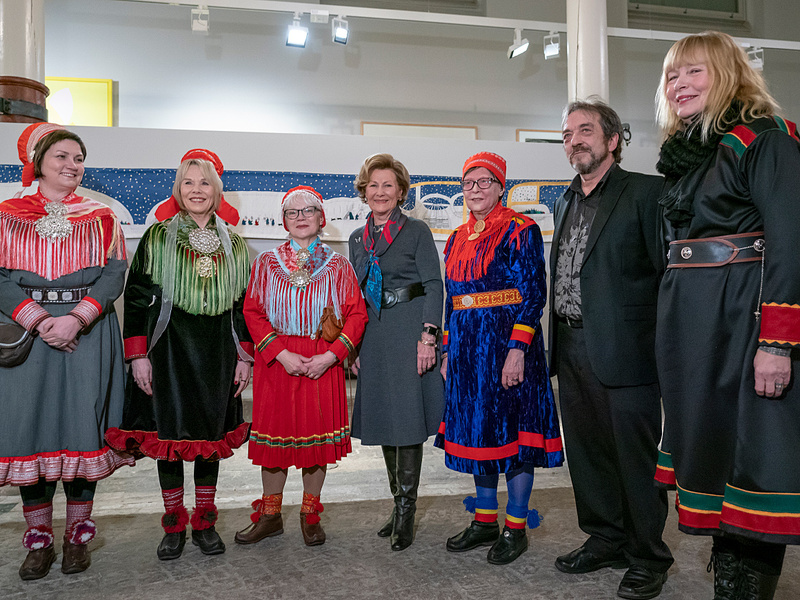 From left: President of the Sámi Parliament Aili Keskitalo, Synnøve Persen, Britta Marakatt-Labba, Queen Sonja, Rose-Marie Huuva, Arnold Johansen and Inger Blix Kvammen. Photo: Heiko Junge, NTB scanpix. 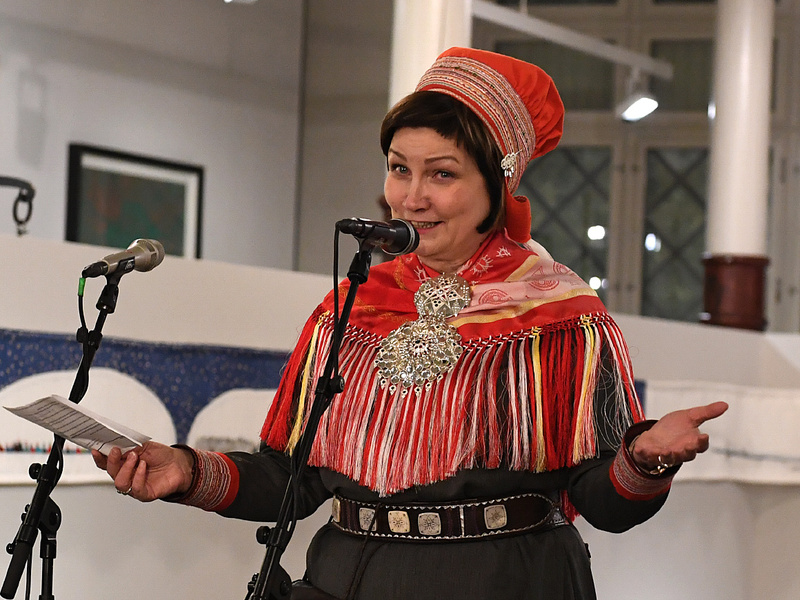 Aili Keskitalo, President of the Sámi Parliament, gave the opening speech. She pointed out that art is transcendent. It reaches us across art forms, national borders and generations – as does this exhibition, with works by three generations of Sámi artists from Norway, Sweden and Finland. Many different artistic idioms are represented. 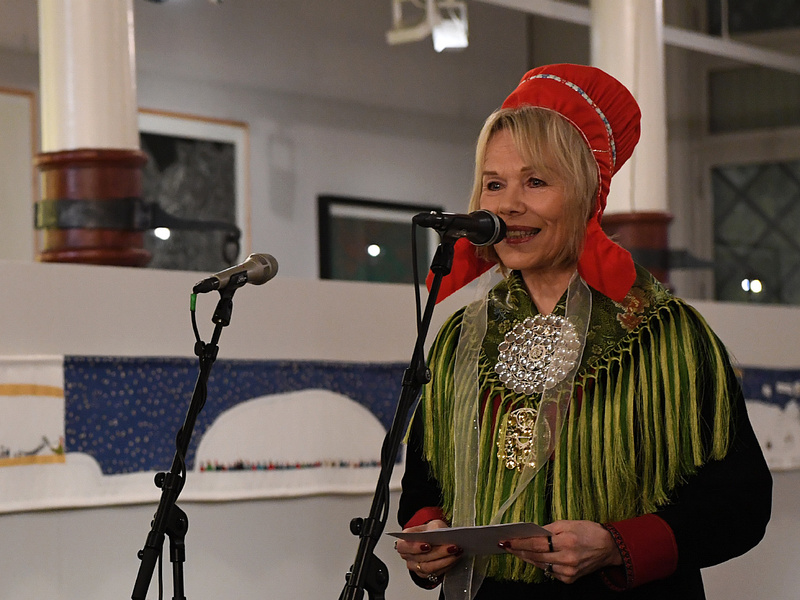 President of the Sámi Parliament Aili Keskitalo officially opens the exhibition. Photo: Sven Gj. Gjeruldsen, The Royal Court. The Art Stable exhibition includes paintings, photography, graphic prints, textile art, video, sculpture and installations. 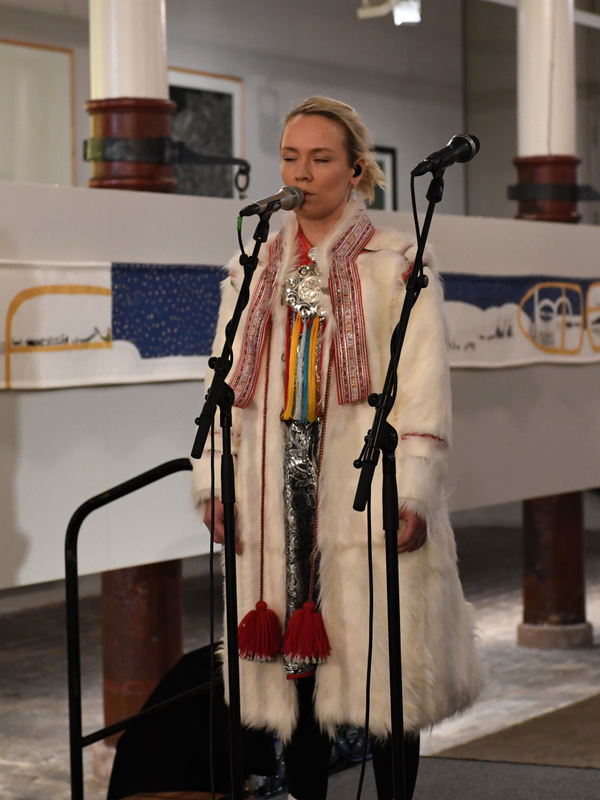 Ms Keskitalo expressed a hope that this could be a first step in establishing a facility dedicated to Sámi art, which does not exist at present. Artist Synnøve Persen, who has also been a member of the exhibition’s advisory board, posed this question in her talk – and she hopes there will never be a definitive answer. It is the role of art to question and challenge, and art should never become fixed or compartmentalised. What is Sámi art? Synnøve Persen hopes there will never be a categorical answer. Photo: Sven Gj. Gjeruldsen, The Royal Court. 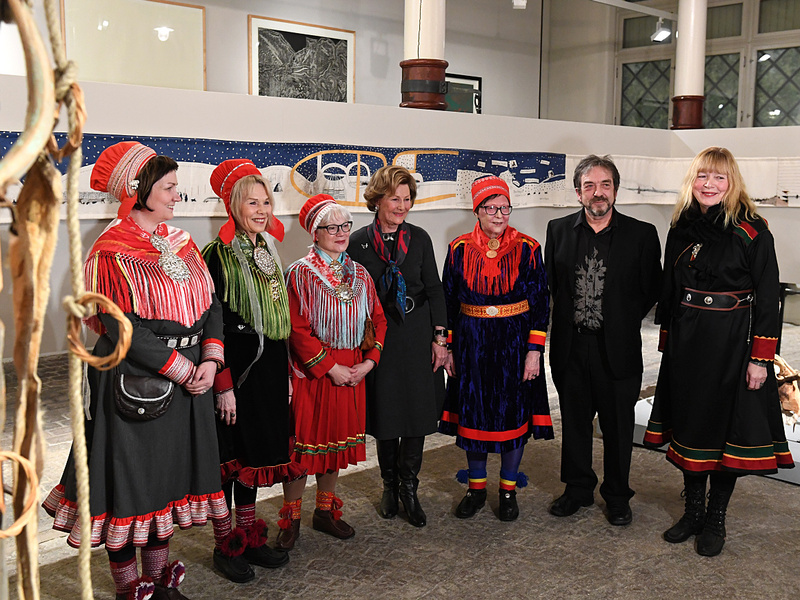 This exhibition is a tribute to Sámi art and artists, emphasised chief curator Knut Ljøgodt. It does not seek to define Sámi art but instead to show its range and diversity. 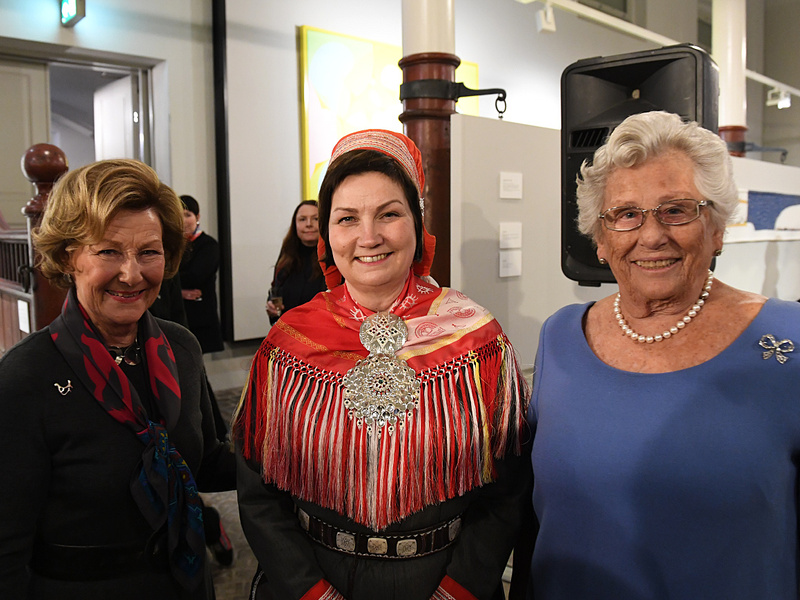 Her Highness Princess Astrid, Mrs Ferner was also in attendance at the opening. 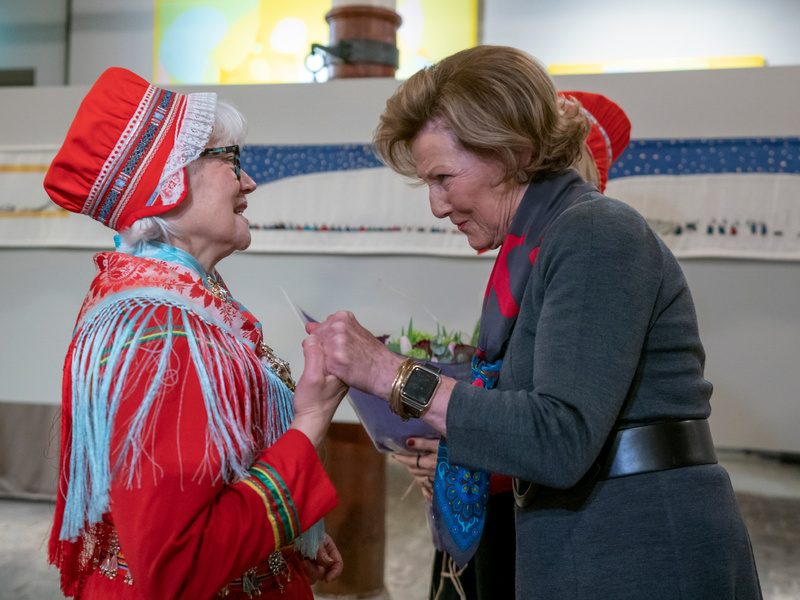 Shown here with Queen Sonja and Aili Keskitalo. Photo: Sven Gj. Gjeruldsen, The Royal Court. Elle Márjá Eira entertained the guests with her musical performance. Photo: Sven Gj. Gjeruldsen, The Royal Court. 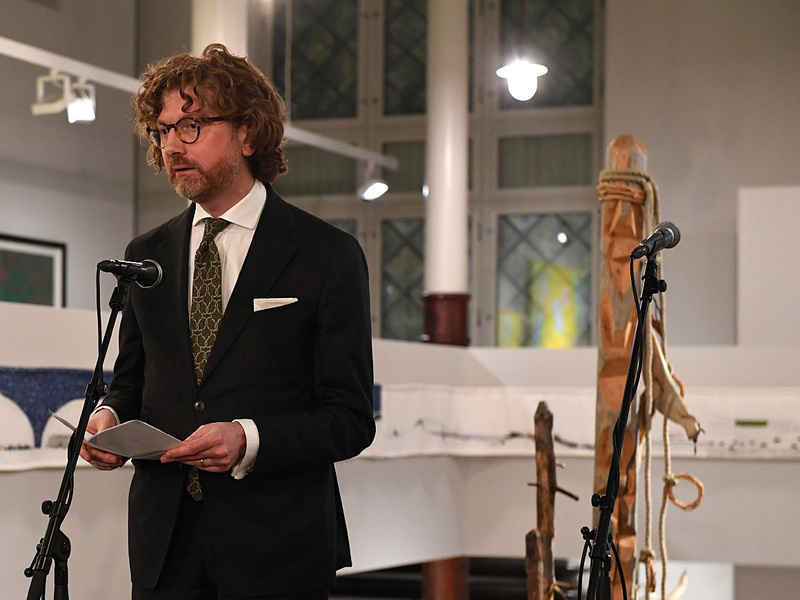 Dr Knut Ljøgodt is chief curator of the exhibition. Photo: Sven Gj. Gjeruldsen, The Royal Court. The Queen with artist Rose-Marie Huuva. Photo: Heiko Junge, NTB scanpix. 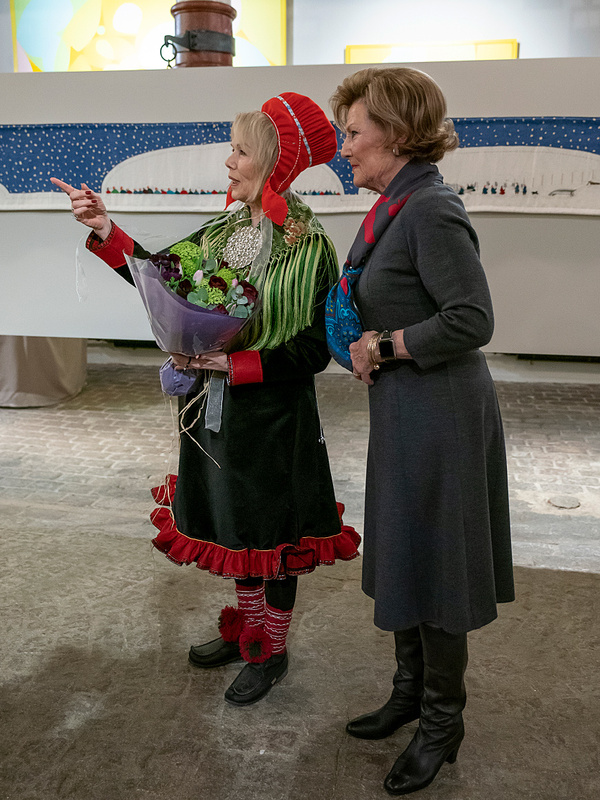 Queen Sonja and artist Britta Marakatt-Labba. Photo: Heiko Junge, NTB scanpix.